In celebration of “Our Autumn Years”, we decided to highlight Florida! The “key” destination for the retiring generation. 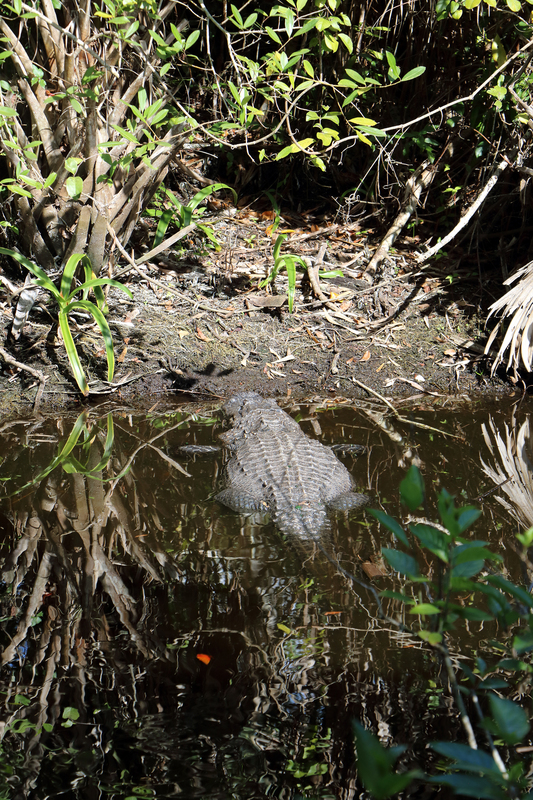 Everglades National Park in Florida is a great fall destination to appreciate all that is natural! Florida’s Everglades, often referred to as the glades or the river of grass, runs about 400 miles, from the Orlando area to Florida Bay, on the state’s southern tip. It is a unique ecosystem combining huge wetlands, sawgrass marshes, freshwater sloughs, mangrove swamps, pine rocklands and hardwood hammocks (forests). Once covering a huge swath of the state, the glades averaged about a depth of four to five feet of very slowly-moving water, although there were/are many dry areas naturally occurring within it. Today, vast swaths of it have been drained, dammed and replaced by massive commercial agriculture (mostly sugar) and residential development. Fortunately, more than a million and a half acres are preserved in Everglades National Park and even more are preserved at some adjacent state and national preserves such as the Big Cypress National Preserve or Florida’s Fakahatchee Strand preserve. Started in 1934, Everglades National Park is the tenth largest U.S. national park. Unlike most of them, its three entrances are not connected and are located in different areas of southern Florida. Since no public transportation links them, access by car is the only practical way to see it all. On the east coast, the main entrance is found at Homestead, between Miami and the Florida Keys, near Florida City along U.S. 1. The Ernest F. Coe Visitor Center is located at this entrance, as well as the Royal Palm and Flamingo areas. The Flamingo Visitor Center is the southernmost visitor center in Everglades National Park. It is at the end of the main park road and is accessible from the Main Park (Homestead) entrance. It is about an hour’s drive from the park entrance. Closer to greater Miami is the Shark Valley Visitor Center off U.S. 41, the Tamiami Trail that runs down the west coast of the state and across to Miami. It is about 25 miles west of Miami and 70 miles east of Naples. From Florida’s west coast, the Gulf Coast Visitor Center at Everglades City is 36 miles east of Naples. Once you get to a park entrance, your first stop should be at the visitor center for an opportunity to talk to a ranger, get a map and absorb some idea of idea of what lies around you. Each center offers a variety of activities and ample opportunities to camp or just observe some interesting plant and wildlife, hike, canoe, kayak, ride on a tour boat and take in the ambiance of this tropical wilderness. 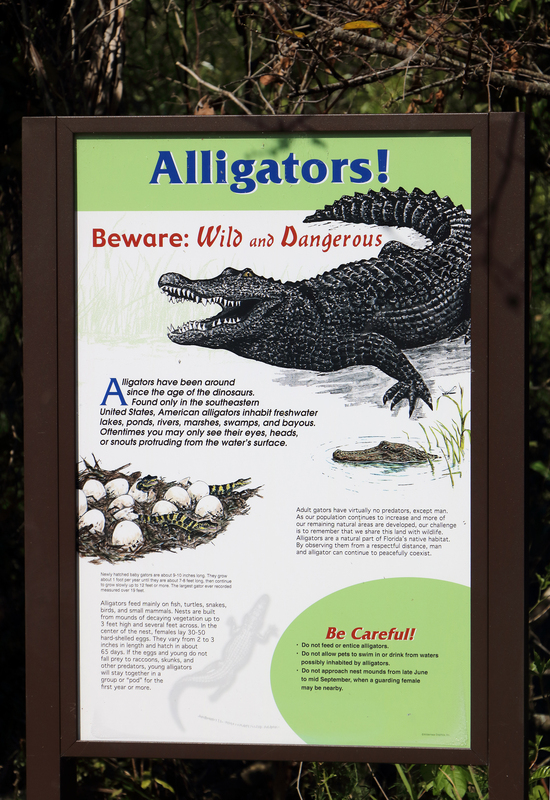 Yes, you should see alligators and/or crocodiles, turtles, exotic birds, and other wildlife. Your chances of seeing a Florida black bear, an invasive species like a python or a reclusive panther are remote but not impossible, as well. The rangers will brief you on what is available where you are and answer your questions. • Be sure to bring sunscreen (at least SPF-30) and insect repellent. • Understand that you are visiting a wilderness environment that is hot, sticky, filled with insects and home to many wild and potentially dangerous critters. If you use common sense, stick to designated areas and obey posted warnings you should be fine. The vicinity of the Everglades can be easily reached by highway, air or train. From there, you need to be on an escorted tour or rent a car. • The closest two major airports are Miami International Airport (MIA) on the east coast and Southwest Florida International Airport (RSW) at Fort Myers on the west coast. Both offer frequent connections and rental cars. • By train, Miami is the nearest Amtrak station. It has daily service from New York and points south. Commuter train service is also available from West Palm Beach and Fort Lauderdale. • By car, 1-75 crosses the state north of the park and U.S. 41 runs along its northern border. • Consult the resources at one of the three major visitor centers and explore the surrounding region on foot or tour boat, following the advice of the ranger on duty. • Take one of the many marked and relatively tame nature walks in the national park or in adjacent state parks. • An airboat or tour boat excursion. • Hiking as many trails as practical at different times of day to see as much wildlife as possible. 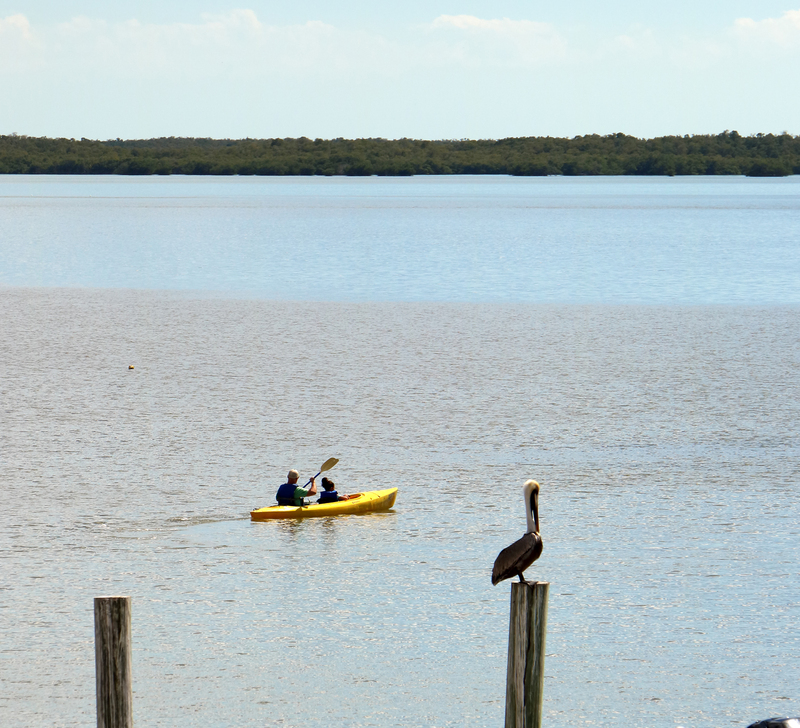 • If kayaking or canoeing interests you, explore some of the marked waterways near the visitor centers. • Some beach time on the east or west coast or the keys. 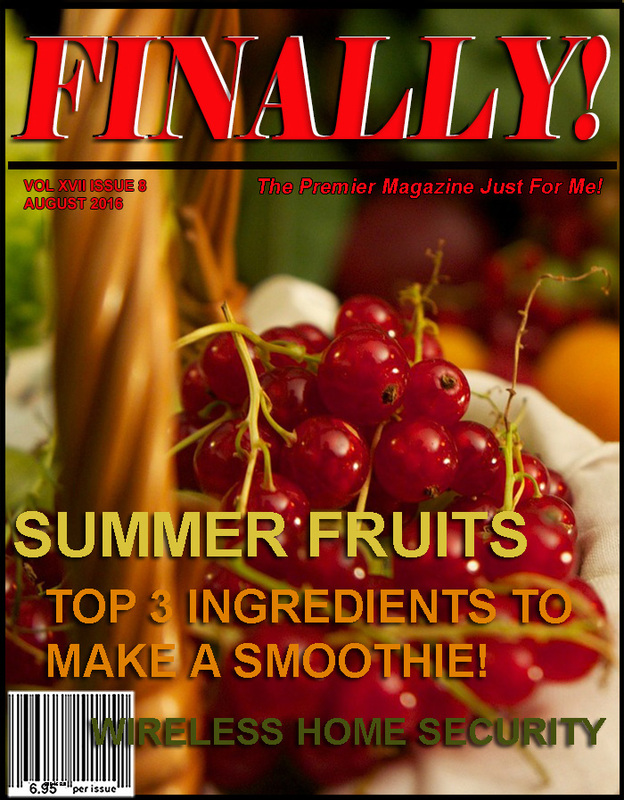 • Shopping and nightlife in Miami or Naples. • The resort ambiance of Marco Island. • A deep-sea or near shore fishing charter. Sidebar: Ginny O’s Tips For Dressing The Simply Smart Travel Way For The Everglades. Dress for the sub-tropical wilderness environment and the season. Wear sturdy closed-toe hiking shoes and lightweight long sleeves and long pants to help protect you from biting insects. Leave the shorts and flimsy tops back at the resort. When visiting cities, dress varies from ultra-chic at Miami Beach’s South Beach to resort casual at most places. Mobility Level: Moderate. Walking is necessary to see many of the attractions, although some can be seen by tour boat. When To Go: Winter is best since the weather is milder. Summers in the tropics can be brutally hot and sticky. Where To Stay: On the west coast, Naples or Fort Myers offer a wide variety of lodging, ranging from primitive camping to ultra-luxurious hotel palaces. On the east coast, the greater Miami area has a vast range of amenities. to the park off U.41 at Everglades City. the amphibious critter danger well.